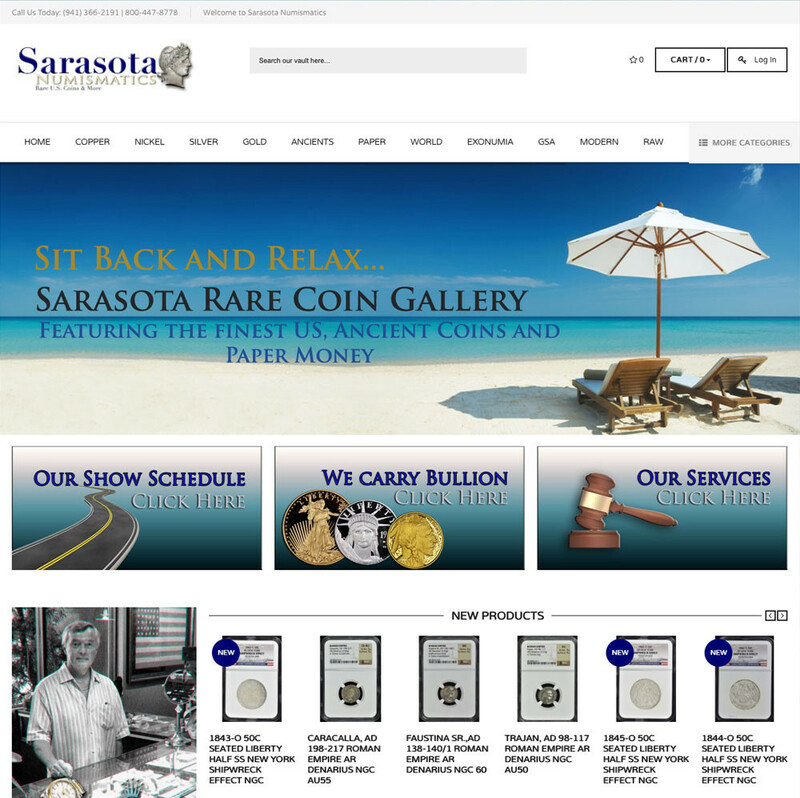 Sarasotanumismatics.com handles the finest in rare US coinage, ancients, world and paper money for Sarasota Rare Coin Gallery. Creating an online presence for one of the premier brick and mortar coin galleries in the country. SRCG is a full service coin gallery handling more than you might think. We pride ourselves with our depth of offerings and purchase everything from the finest known rare coins to wheat cents. Competitive bullion prices, tokens, ancients, world coins, paper money, Rolex watches, diamonds and estate jewelry. We are proud members of PNG, ANA, PCGS, NGC, CAC, ICTA and the IWJG. Let our experience work for you, whether buying or selling we can handle any transaction. 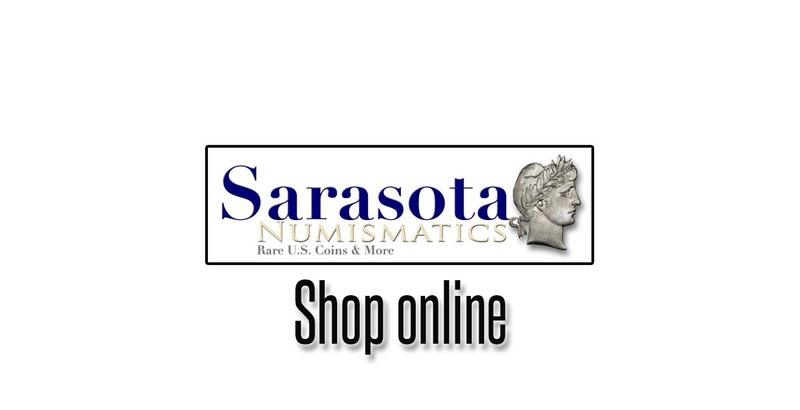 Sarasota Numismatics has all the tools necessary to work with it’s clients on any size collection from start to finish. Whether building the finest collection or filling that hard to find hole, we are here to help. We are always happy to talk to you, so feel free to email or call any questions you may have.